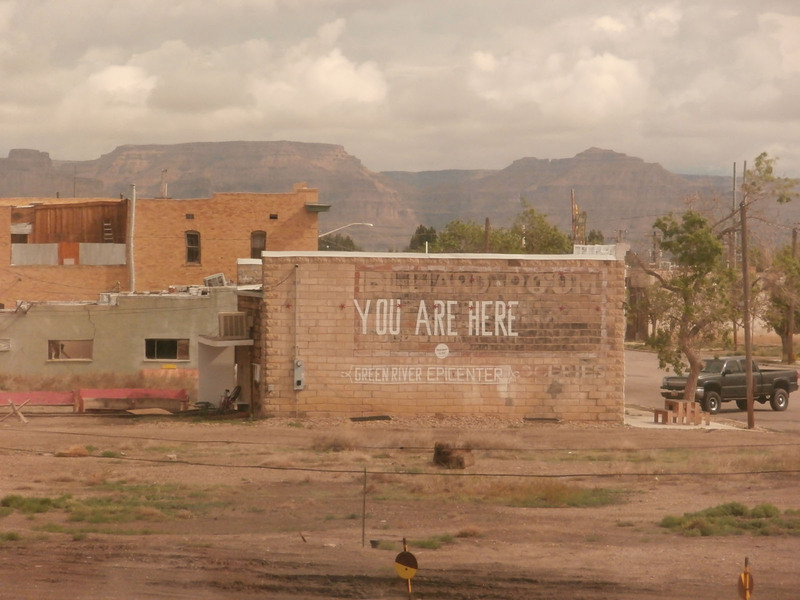 Recently, I rode the Amtrak California Zephyr from Utah to Colorado. From the train, I took this photo of the epicenter of Green River, Utah. Green River is located in a starkly beautiful desert along the base of the Book Cliffs mountain range and is famous for its watermelons. Green River is also a popular area for freeride mountain biking. This entry was posted in Life!, Seeking a Sign and tagged building sign, epicenter, Green River by tarvasalutes. Bookmark the permalink.